In a body blow to former Ranbaxy promoters Malvinder Mohan Singh and Shivinder Mohan Singh, a single judge bench of Justice Jayant Nath of the Delhi High Court directed them to pay `3,500 crore to Japanese drug maker Daiichi Sankyo - that's 35 per cent of the `10,000 crore the Singh brothers had received for selling their stake in Ranbaxy - then valued at $ 4.6 billion - to Daiichi in 2008. Daiichi Sankyo's acquisition of Ranbaxy was one of the most high profile corporate marriages that took many by surprise. Yet, in just a few years, it has broken apart owing to trust issues. 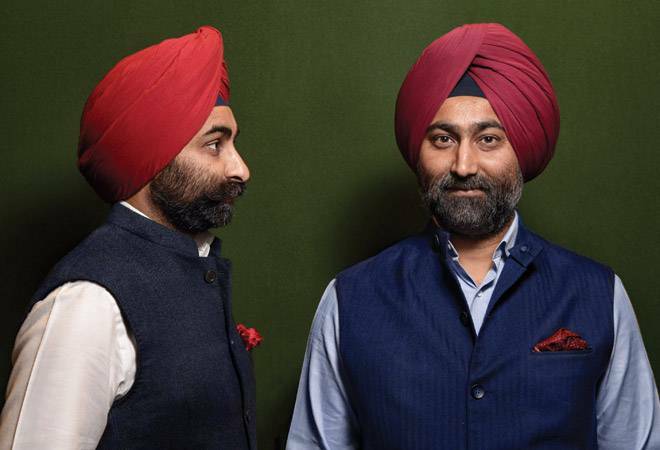 Daiichi moved the Delhi High Court to enforce the award by a three-bench Singapore tribunal (2-1dissent) which had ruled that the Singh brothers had hidden crucial information during the sale of Ranbaxy to Daiichi. The root of the problem is the allegation that a US Department of Justice (DOJ) investigation was going on based on the Self Assessment Report (SAR) submitted by whistleblower Dinesh Thakur, a former employee of the company, in 2005 regarding submission of fake bioequivalence study data and issues with compliance at the company's Paonta Sahib unit. In September 2008, the US Food and Drug Administration (FDA) issued a warning letter to Ranbaxy for 30 of its products. Regardless, the deal with Daiichi was signed in November of the same year. At that time, in 2008, Daiichi with a drying pipeline of new drugs was looking at a suitable R&D partner to enter the generics business. Since Indian companies were then ruling the roost with API supplies, discovery efforts driven by its IT industry and its Paragraph IV filings based on its strength in chemistry, India was a natural choice and Ranbaxy, an opportunity. With its spread-out generics portfolio and two blockbuster FTF (first to file) opportunities, Daiichi hoped to earn significantly from Atorvastatin( $12 billion Lipitor) and Esomeprazole($5.5 billion Nexium), besides a $40-50 million opportunity for a generic of Roche's Valcyte. Was Daiichi able to do a full due diligence before the acquisition in 2008? The sellers claim Daiichi did and was even aware of the problems including the DOJ investigation. The Japanese drug maker, according to the sellers, was well aware of the risk but was driven by the lure of the FTF opportunity as well as the pipeline of Ranbaxy's generic products. Daiichi claims that a significant document - the SAR prepared by Dr Rajender Singh, former president of research of Ranbaxy - that formed the basis of the DOJ investigation was not shared in its entirety. The document is at the crux of the dispute. Daiichi claims if it had been aware of the SAR, it would not have gone ahead with the deal. Things came to a head in 2011.The five-year DOJ probe resulted in Ranbaxy, under the leadership of Daiichi, agreeing to a $500 million settlement. However, on November 30, 2011, Atorvastatin was launched in the US market and it managed to capture large marketshare. But within a year of launch, 500,000 bottles of Atorvastatin were recalled due to the presence of glass particles in products shipped from the company's new facility in Mohali. Its marketshare tumbled to 2 per cent after the recall. The FDA also banned the sale of 30 of its products manufactured at the Toansa plant in the US. As Daiichi faced both regulatory and manufacturing hurdles with Ranbaxy, reports of problems with its proprietary drug Benicar surfaced. It faced a class-action lawsuit in the US for selling an unsafe drug and failing to give adequate warning of the side effects. Daiichi faced the ire of FDA for its own and its subsidiary's regulatory, manufacturing and marketing woes. The Benicar case was settled in August 2017 for $300 million. By November 2012, Daiichi had filed a case against the Singh brothers in the Singapore Court of Arbitration. It also started looking to sell off the business. Daiichi did so to Sun Pharma in 2014. It was not a monetary loss, as accepted by Justice Jayant Nath, but definitely a loss of face for the Japanese company. Daiichi will now look for the award to be executed. The Singhs on their part can approach the Supreme Court. But, for now, the scales are definitely tilted against the brothers.